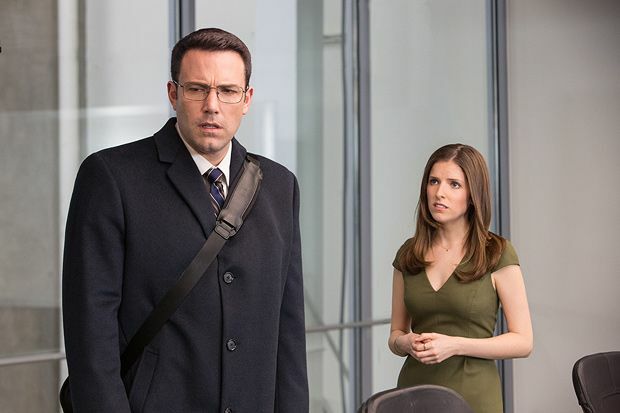 The Accountant may sound like a John Grisham potboiler but the reality is a muddled hybrid of pulpy vigilante thriller, half-hearted romance and comic book violence. There are clever touches, effective moments and enjoyable performances but Gavin O'Connor's film never gels into a coherent or believable whole. Ben Affleck seems to have retained a good deal of his Batman / Bruce Wayne persona as Christian Wolff, a high-functioning autistic accountant who works for some of the most dangerous organisations on the planet. He is a whizz with figures as well as a trained sniper and a lethal martial arts expert. He is a combination of Rain Man and James Bond with all the social graces of Schwarzenegger's cyborg in The Terminator. Affleck's wry, low-key performance proves to be a good fit for the character. Hired to audit the figures for a legitimate robotics company, he uncovers corporate skulduggery and makes a rare human connection with fellow numbers geek Dana Cummings (Anna Kendrick). However Agent Ray King (JK Simmons) and his sidekick Marybeth Medina (Cynthia Addai-Robinson) are on his trail, as they try to figure out whether Wolff is a hero or a villain. The Accountant is top heavy with plot, backstory and flashbacks to Wolff's childhood at the hands of his tough army dad. At times, it feels like nothing but an endless daisy chain of exposition. Key characters are allowed to slip in and out of the story, whilst a sweet, likeable Kendrick struggles to make much of a desperately underwritten character. All of that comes before a whopper of a coincidence strains credibility to breaking point. The end result has the loose ends of a superhero origins film, with the promise of more to follow. It's a very strange film that just doesn't add up. General release from Fri 4 Nov.